Starting Sunday, May 22, 2016, the Jewish Catacombs of the Vigna Randanini, in the Appia Antica Park in Rome, will open to the public on select Sundays. The pilot program, organized by the tour agency Coopculture in collaboration with the Jewish Community of Rome and the Archaeological Inspectorate for the Appia Antica, the two institutions that jointly oversee the site, is scheduled for two Sundays in May and June (22 May and 5 June), and is expected to resume in the fall. The special openings of the Jewish catacomb on a fixed schedule are part of a larger program of events for the Jubilee Year 2016, “Le vie del Giubileo”, which is detailed on the website: http://www.leviedelgiubileo.it/. More Jewish itineraries and special events for the Jubilee of Mercy 2015-2016 are listed here. For tickets to the Vigna Randanini catacomb visits (priced at E. 10), contact: Coopculture (tel. 06 39967700). 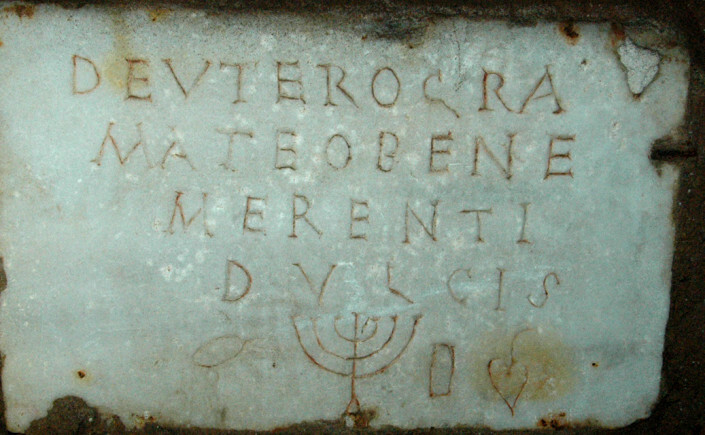 Information on how to visit the Jewish catacombs of Rome on alternative dates is here.